Sometimes it is best not to ask what is for dinner… What mysteries lurk in the shadows? Hired by a wizard in search of his legacy, you will soon discover, that a sleepy town, is not all it appears to be. People are missing, mysteries abound, but at least the food is good. Originally designed for Shadow, Sword & Spell Rogue Games brings you a new version adapted especially for 5th Edition. Now you can experience it for yourself. 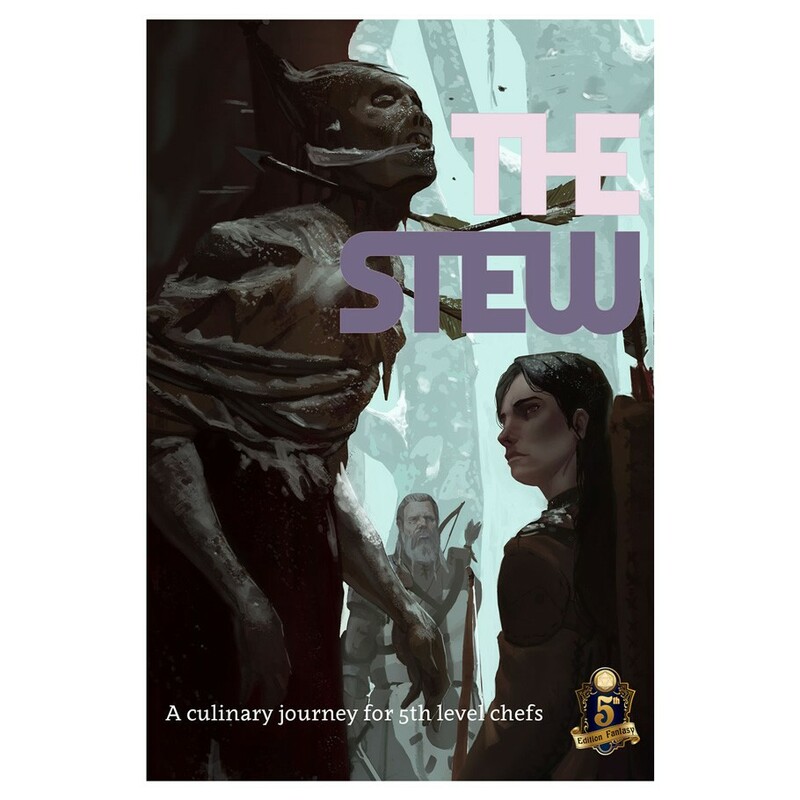 The Stew is a descent into cooking, legacy, and a strange cult. It is also adventure that will leaving you asking for a second helping!